I spent a large part of my digital career selling retargeted display ads. It was a good product, and I was passionate in my belief that they helped marketers. It felt innovative and cool at the time because breakthroughs in precision audience targeting and dynamic creative actually changed consumer behavior. Later, advances in offline sales measurement allowed the marketer to underwrite the spend based on total sales versus just online sales. Today, I’m not so bullish on display. In fact, I’ve largely given up on it. We haven’t seen a ton of innovation with the medium recently (outside the rise of self-service platforms). It’s true that brands are gaining cost efficiencies by bringing it in-house, which is great, but it’s not exactly something that lights my hair on fire anymore. All technology—digital advertising included—follows a well-worn path: Some new innovation dazzles the market that’s tested by early adopters. Once it gains traction, it enters an efficiency phase, with emphasis on standardization and automation in order to lower costs. All phases are critical to advancing an industry, of course. That being said, I personally thrive in the innovation phase. Right now, video marketing is entering a massive innovation phase. It has me excited because marketers can (once again) materially improve how they communicate with their customers and prospects. Historically, we’ve thought of TV, and now digital video, as a branding tool best suited to get general messages out to a broad population. It tapped into the well-known proverb that 50 percent of advertising is effective—though exactly which 50 percent was anyone’s guess. For decades, TV was based on (let’s face it) some pretty outdated demo-targeting standards like gross rating points (GRPs); more recently, digital video has brought specific measurement into the video marketing mix. It was only a matter of time before marketers, who experienced the precision of digital targeting and demonstrating real, measurable outcomes, would clamor for a better approach for digital video. Perhaps marketing services companies should offer brands something more innovative with video other than GRPs and demo-targeting. 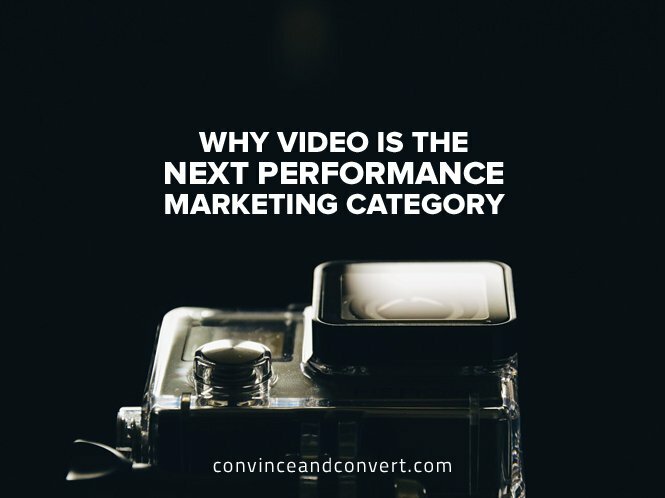 Maybe it’s time to consider video as the best performance-marketing tool in the marketer’s arsenal. To see how that can be done, we need to go back in time and remember why retargeting was so cool. Back in 2009, it was like an adrenalin shot for digital marketers. Once a consumer looked at a product, that behavior was captured and leveraged based on what was widely considered significant advancements in audience targeting, on-the-fly personalization of creative, and measurement of actual sales. This pushed display retargeting to a mainstream digital tactic, particularly for e-commerce-focused retailers. Once advancements could match a digital device to a physical mailbox, omnichannel retailers could then determine the offline sales impact of their digital communication. We’ll see video marketing adopt these same three innovations in 2016, and those innovations, in turn, will completely reshape brands’ expectations of what’s possible with video marketing. Video advertising, in all its forms, can easily leverage the same level of precision audience targeting that digital marketers perfected with their retargeting and other display campaigns. For instance, brands can target consumers based on products they’ve viewed, just as they do in the display world. They can leverage their display strategies and apply it to video campaigns, targeting video ads based on demographics, location, online and offline behavior, dayparting, and intent. Now, they can use the magic of sight, sound, and motion to take their advertising to the next level, targeting moms in cold weather climates with deals for snow tires in the days leading up to a snowstorm, or promoting a lunch special to office workers right when the first hunger pangs kick in. Ads must resonate with consumers and be relevant to their stage in their decision-making journey. We’ve seen display campaigns do just that, where every aspect of the creative—image, message, offer—is catered to the human who sees it. Optimization worked for display because we didn’t think of display ads as single units; we thought of them as a collection of specific elements—color, product, offer, price, etc.—that can be assembled together on the fly using large amounts of consumer data. But here’s the exciting part: Today’s video ads offer the same customization that got us so excited about display ads. Marketers can break down video ads to their essential components and assemble them in real time based on what they know about the consumers who see them and what will resonate most with each individual. If there’s one message we’ve heard loud and clear from brands it’s this: Tell us what our digital ad spend delivered in terms of real business outcomes. Metrics like view or completion rates, or even CTR, are becoming meaningless. CMOs need the ability to tell their CEOs, board members, and investors what they got for their campaigns. With display advertising, tracking ROI was relatively simple once you had the right program in place. You could see who clicked on your ad and eventually made a purchase on your site. In-store purchases always presented a bit more of a problem because we live in a PII protected world; however, it can be tracked by engaging external, third-party measurement providers to look at a number of metrics to determine actual in-store and online sales. Companies have been doing this type of research in fully privacy-compliant manners. It’s time we adopt it for digital video campaigns. And while we’ll never be able to track every purchase, we can easily adopt test and control methods across a statistically significant set of ad viewers to assess the actual sales impact from a campaign. These three innovations are what initially made me so excited about display advertising, and they’re now crossing over to the realm of digital video. And they’re way too important to be contained to desktop and mobile video campaigns—expect to see them applied to Facebook video and addressable TV, as well. Sound a bit too geeky? As digital media executive, I say this is the most exciting place to be: right in the middle of the innovation. Jason Baadsgaard, as CRO, is responsible for overseeing Eyeview's expanding sales team, heading strategic accounts, and increasing the company's extensive client roster of leading Retail, CPG, Travel, and Automotive brands. Prior to joining Eyeview, Jason served as Senior Vice President of Sales at Conversant, a personalized digital marketing company, where he was responsible for delivering more than $200 million annual revenue goal from enterprise-level client engagements. Before Conversant, he held many sales roles across the digital media landscape, including Dotomi, OpenX and Claria.